Twitter is a first-time debate partner. One recently minted Sunday show anchor and one social media network have already had their go at a primary debate. 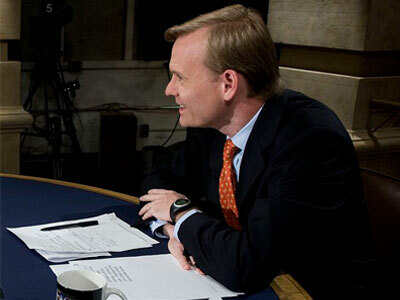 Now it will be Face the Nation anchor John Dickerson‘s and Twitter’s turn. CBS News released details on its Nov. 14 Democratic debate taking place at Drake University in Des Moines, Iowa, announcing that Dickerson will moderate. In addition to already established partners KCCI-TV and the Des Moines Register, Twitter will also be participating in the debate, crunching numbers and tracking and highlighting reactions. There is also a chance moderators may ask candidates questions posed by Twitter users. This is the first time Twitter has been an official part of the debate. “Our people have worked with Twitter’s unique curator tools to measure changing responses to what viewers will see on the screen. Twitter integration will inform our coverage and integrate seamlessly with CBSN, our always-on digital network,” said CBS News President David Rhodes in a statement. The debate, which begins 9 p.m. ET, will be broadcast on all CBS platforms. Hashtag is the same as it was for the first Democratic debate: #DemDebate.